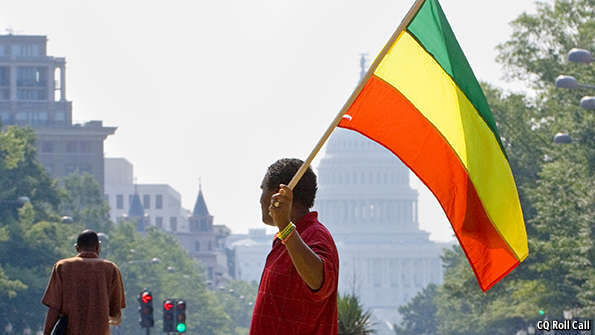 Ethiopia: We are on the Eve of a New Year of Freedom, Not Merely Adding a Number to Our Calendar! We are on the Eve of a New Year of Freedom, Not Merely Adding a Number to Our Calendar! 1. It goes without saying that millions of people of considerable number of countries in this planet of ours have succeeded in making their lives relatively easy and pleasant not only in terms of material values but also in terms of the values of political and religious freedoms . Yes, saying goodbye to the outgoing (“old”) year and receiving the incoming (“new”) year with joyful celebration is meaningfully felt in those societies of the world which are fortunate to have systems functioning with their full consent ( their sovereign power). Sadly enough, this is not the case for the majority of the people of the world in general, of Africa in particular, and the people of Ethiopia in much more particular. What the people of Ethiopia have to live for? What their aims in their lives should be? Have they ever been fortunate enough to experience living with a real sense of dignified life? Or just counting a calendar of mere existence, if not of dehumanization after dehumanization? When and how our self-defeating believes of being grateful or thankful for “celebrating” simply the natural re-occurrences of seasons without questioning what we really do celebrate could be the thing of the past? How long should it take for us to admit that being grateful for simply existing and celebrating New Year or any other holiday regardless of the very vicious culture of absolute poverty does not make sense? To borrow the very powerful expression of which Frantz Fanon used as the title of one of his books, staying “The Wretched of the Earth” but being grateful to celebrate change of calendars does not make sense unless we want to deceive ourselves. The list of questions without convincing answers which painfully hurt our dignity individually and our national pride collectively is quite long. Needless to say, it is extremely disturbing to find ourselves in this kind of terribly paradoxical situation in this twenty-first century. What must not slightly be away from our hearts and minds is that the very success story of the struggle for freedom, justice, human rights and shared prosperity essentially depends on the very pro-active and decisive participation of the people . Though we are witnessing that the task on this front of the struggle is quite encouraging than before, it is not as it should be yet. That means that there is an absolute need to make the power and the pace of the fight for freedom and justice that has already been declared much more effective and efficient if we have to celebrate our New Year Seasons and other Holidays as parts of our socio-cultural and spiritual lives, not pretending that we simply enjoy their re-occurrences. I am well aware that there may be many fellow Ethiopians who may feel uncomfortable with this straight-forwardly expressed way of telling our own painful stories of yesterday, and of course today. I wish things could be otherwise, and I could be dead wrong. But I strongly argue that we courageously have to recognize and admit that although we are the people of a country with remarkable history of independence and one of the origins of ancient human civilization, we have never been fortunate enough to have a political system that enabled us to enjoy what we should deserve. I hate to say but I have to say that if we do not open our hearts and minds to critically (with no clumsy excuse) look in to what terribly went wrong and take appropriate and decisive actions on the question of how to move forward; we will remain victims of entertaining foolish hopes on every New Year or other Holiday we “celebrate”. Needless to say, that is what we are encountering on this eve of the twenty-fifth New Year of ours since the current ethno-centric minority ruling elites came to power and constitutionalized /institutionalized the politics of ethnic identity over national identity. If this political madness which is causing unprecedented generational identity crisis does not make us deeply worried and do something about it, I do not know what else should be. 2. I am not intended to compare and contrast the very process of natural law in general (to come into being and passing away) with that of man-made (societal) law which is characterized by its own unique actions and interactions. I am not naively denying or undermining the very encouraging progresses being made by courageous Ethiopians in the process of the struggle in order to give the meaning of life much more than mere existence. I am just trying to reflect the objective realities I do observe and understand. It goes without saying that expressing time in terms of political and socio-economic history does go beyond the natural law of coming into being (birth), growing, aging and dying which is a general truth to all living things. Whenever the very essence of our being born and living as human beings is diminished to the level of mere survival for a certain span of life, we do not need to have an extraordinary knowledge to understand that the society we belong to does suffer from serious malfunction . Self-evidently, our own history of political economy has never been fortunate enough to graduate from this very painful vicious cycle of malfunction. It is to mean that the way those ruling elites who came to power and ruled the country in different periods of history treated their own people was terribly wrong and painfully disturbing. The people have been considered just as subjects of those ruling elites, nothing else. It is not an exaggeration to say that those kinds of systemic illnesses went to the extent of making the people to be thankful or grateful to their rulers whenever they “celebrated” New Year or other national and religious holidays. Simply put, the innocent people of Ethiopia had disturbingly been deceived by a very nonsensical mystification of the political power of palace politics. It is an ABC of socio-political development that understanding where we came from is indispensably linked with the very question of where we are now, and where we want to go. It must be underscored here that this process of human action and interaction is not a tradition of mere “celebration” of New Year or any other national or religious holiday for the sake of “celebration”. In other words, celebrating a day (be it New Year or any other national or religious) that does not have much to do with reflecting the prevalence of freedom, justice, human rights/dignity, morality and socio-economic well-being of the general public is terribly self-deceiving, to say the least. And that is why it is quite fair to say that it is important to re-examine our past (what went wrong and what went right) in such a way that it could help us to productively examine where we are now, and to put ourselves in the direction where we want to go and the destiny we want to be at. Socrates is powerfully right when he says, “Unexamined life is not worth living.” True, “enjoying” the celebration of every New Year or any other holiday without reexamining what happened in our past, without examining what we actually are celebrating, and without having a feasible vision about how to make the next celebration much more enjoyable is not a worthwhile life style in the real sense of the term. Wrong behaviors of our ruling elites such as idiotic arrogance, wildly voracious personal egos and deep-rooted hypocrisy have badly eroded their senses of rationale and morality a far as the very question of how to govern is concerned. One of the worst aspects of being victims of these kinds of behaviors have a lot to do with not to learn a lesson from what went terribly wrong and to undertake appropriate and corrective action. Regrettably enough, the country has never been fortunate enough to have leaders with characteristic of statesmanship in the real sense of the term. To single out just one case, the 1961 coup de’ tat attempt could have been a very good opportunity for the monarchy and its cronies to undertake critical inward-looking and act accordingly instead of trying to silence the movement by using their killing machine. Those who led the attempt had mercilessly been eliminated as if the very reason for their attempt had nothing to do with peoples’ serious discontent with a system that was becoming much more despotic, parasitic, and of course anti- reform or progress. What was terribly wrong for the deceivingly mystified (God-anointed, Ze’minegede Yehuda ….) system was its unwillingness and inability to see political and socio-economic realities beyond its palace politics even after that very alarming event. It goes without saying that all these and many other accumulations of terribly wrong ways of governing a country had to reach at their own turning point in one way or another. And that turning point was right the next day of the New Year of 1974 which brought about the final demise of a system that could not hear let alone listen to serious grievances of the people that clearly and loudly signaled that politics as usual had reached its dead end. 3. Despite the fact that it was inspired by a revolutionary ideology of the time, it is fair to say that the New Year of 1974 had its own influence on peoples’ thinking about celebrating a day that was highly aspired to bring about a new system into being over the system that was not willing and able to recognize its serious weaknesses and pave the way for desirable and appropriate reform. The inner circle of the monarchy and its cronies stupidly waited until those serious signals of weaknesses ended up with their own disgraceful demise. Sadly enough, the next sixteen New Years (until 1991) turned to be not the days of celebration but the days of horror as far as the question of the fulfillment of the aspirations of the people was concerned. What made things extremely disturbing was that the people once again became victims of celebrating the days (the New Year and the next day) “colorfully and enthusiastically” and to be thankful to those brutal military rulers and their civilian cronies. History repeated itself in a much more horrifying way. I do not think it is necessary for me to describe one of the most horrifying part of our political history of seventeen years by those group of people in uniform who took power by the barrel of the gun. But what still remains extremely disturbing is the political culture of replacing one killing state machinery by another and counting another twenty-five “New Years’ celebration”. 4. Let it be clear that the reason for bringing up the story of what happened is not to argue that those political economies of the past (of the absolute monarchy and the military dictatorship) should have been functioning as legitimate and fair as what we do expect nowadays. What I am trying to reflect is that, in one way or another, those political economies have their own huge and serious contributions to the situation where we are now, the politics of ethno-centrism which is not only a dictatorship as we know but a political gangster who owns and control the country and of course her resources as simple as any property. That is why the late “great leader”, Ato Melse Zenawi repeatedly and unequivocally used to tell the people that any attempt to change any of his policy would be on the grave his and his cronies . Not only this, he also used to tell not only the people of Ethiopia but the international community that if he and his cronies should be gone, the country will seize to survive as a country. After his death, his surviving brain children of TPLF and their mere speaking tools such as Ato Hailemariam Desalegn have repeatedly told us that they will make sure that the legacy of their “great leader” will go ahead without any slightest change. 5. Most opposition groupings or parties or movements in the diaspora had suffered a lot from the political culture of talking not walking, reporting what they discussed and passed resolutions during their gatherings that have never been more than signs of mere existence. As far as my observation for the last several years is concerned, they have terribly failed to go beyond sending congratulatory messages of New Year and making empty rhetoric about what should we do next. Neither do I understand how reporting the formation of a coalition (Shengo), a Transitional Council (now undergoing great transformation – Government in Exile), Moresh Wogene –Yeamara Derigit could be recognized as great achievements without substantiating the concrete outcomes and influence could make sense. I either do not know how the call by Shengo which consists of about thirteen members of renowned individuals, political parties, and civic groupings for making unified force with others where as it itself remains organizationally amorphous and functionally ineffective. What we are reading and hearing about transforming the National Transitional Council to Government in Exile is one of the typical examples for how we are either intentionally or otherwise not serious about the feasible and realistic way to deal with the very serious challenge in our country. It rather looks that some of us are victims of being satisfied with being actors of performing fake government or kind of academic simulation. If this is the way we celebrate the New Year, we are not helping the struggle, but the ruling elites who continued to play any dirty means in order to stay in power for many more years. 6. The people have terribly been deceived not only by stupidly greedy and horribly irresponsible ruling politicians but also by most religious figures (leaders, preachers and/or clergies ) who could not go beyond making religious oratory that was carefully selected and delivered. As a matter of fact, the majority of religious leaders and members of clergy readjusted the way they used to teach and preach and made sure that the Church will continue to be their comfort zone until something different would happen. When the seventeen years of horror ended in May 1991, our religious leaders and preachers get out of their comfort zone they had been confined and went to the other extreme to the extent of justifying the seventeen years horror as if it was due to the “Godlessness” of the generation or the curse from God. They did not want to acknowledge that the generation was forced to take the direction it took mainly because of the obsolete monarchy that could not pave the way for any other alternative of reform. By doing so, our religious leaders and clergymen have tried to make this generation to be victim of mere nostalgia of God-Anointed ruling elites instead of encouraging it (the generation) to move forward until the very natural and civil liberties should genuinely prevail. I do understand that this kind of politico-religious inter-play was neither uncommon nor surprising throughout our past political and socio-economic experiences. Sadly enough, what we continue to witness under the incumbent ruling elites is extremely disturbing. Back home, those religious leaders including at the top have become advocates, if not cadres of a political system which practically bases itself on minority ethno-centrism, gross violation of human rights, all kinds of tools of suppression including its killing machine, filling up the judiciary system with either its own cadres or those who disgracefully disqualified the very profession they were trained for and the declaration they did take under oath. I am not a student of the Bible or religious teachings as such. But I am an ordinary follower of the E.O.C. And I strongly believe that the very basic teachings of Jesus Christ is so great because of what many of the great teachers had to pay ultimate sacrifices not only because they taught merely about the life after death, but also in defense of the underdogs who had been victims of the evil doings of the top dogs. Put simply, I strongly argue that if any religious teaching or preaching has no significant if not upfront role in the struggle for freedom, justice, civil liberty, human dignity, religious freedom , integrity, national reconciliation; its relevance to a genuine spiritual value in the real sense of term will be questionable, to say the least. I am not undermining the efforts of some religious leaders who do practice their mission with a real sense of integrity and dedication as far as the issue of freedom, justice, natural and civil rights of the people is concerned. But I strongly argue that many of high profile religious figures, priests, preachers, young choirs use the Churches (be it E.OC or Protestant) as their comfort zones. Put simply and straight-forwardly, they preach and sing about the value of freedom, human dignity, morality, peace, love and so on and so forth. Sadly enough, they terribly fail to go into the very root causes of the plight of the people, the brutal ruling elites and to tell them that the way they do politics is unacceptable to the very values and principles of religion. They instead try to convince us that despite the misery surrounding our lives, we should be grateful for staying just alive and celebrate the New Year and other Holidays. What is more stupidly clumsy is when they try to convince us that the very reason for our misery is because it is not the will of God Almighty yet; and the justification for this is said to be the sin we continue committing as if we Ethiopians are intolerably sinful than peoples of other countries who are fortunate enough to enjoy the fruits of freedom. I sincerely want to believe that the culture and mentality of celebrating New Year and other Holidays for itself, not with as especial occasions of having meaningful betterment on our lives is troubling. I want here to recognize the relentless and courageous efforts being made by our Muslim compatriots in this regard and I am reasonably optimistic that they will continue to do so in a much wider and deeper manner. I am also hopeful that all genuinely concerned Ethiopians who belong to Christianity will do their parts in collaboration with our Muslim sisters and brothers. 7. It is with all these and many other very disturbing political and socio-economic situations that we are a couple of days away to celebrate the Year of 2008 of ours. Will it be the beginning of the end of an evil-driven political game of ethno-centric tyranny and the beginning of celebrating New Year (Enqutatash) with a real sense of freedom, justice, human dignity, integrity, and socio-economic well-being? This is a very challenging question to be dealt with. I reasonably want to believe that we are at the situation where the ethno- centric ruling elites cannot play the deadly political game as usual because the people cannot afford to either be fooled or intimidated and silenced any more. We are also in a political situation where the struggle for freedom and justice is taking its own unprecedented dynamism, thanks to those incredibly heroic and patriotic sons and daughters of Ethiopia. Let’s make no mistake that the challenge we continue to face must not either be underestimated or over estimated. But, one thing must undoubtedly be clear; and that is despite all the ups and downs we expect to go through, the victory of freedom over enslavement, justice over injustice, morality over immorality, democratic integrity and mutual respect over ethnic division and hatred, and above all genuine national pride over national disgrace shall prevail. How? Only and only if we are courageous enough to control if not strip off the very notorious personal or group egos and refocus on issues that matter most to advance the just cause we should stand for and subsequently determine our common destiny. Now, we are at the eve of the two thousand eighth of our calendar. Now, we are at the time where we are critically being challenged by those incredibly heroic and patriotic compatriots of ours who left their very well-to-do life styles, highly respected professions and performances, and above all their families whom they have unconditional love and care as any one of us for the sake of seeing freedom and justice prevailing in our country. We are not on the eve of celebrating the New Year as usual at all. We are at the very critical time of making the New Year the very beginning of the end of the ethno-centric tyranny before it totally destroys the survival of the country and the socio-cultural fabric that is still resisting the very sharp sword of hatred and division. I Wish All of My Compatriots a New Year of Freedom and Happiness!